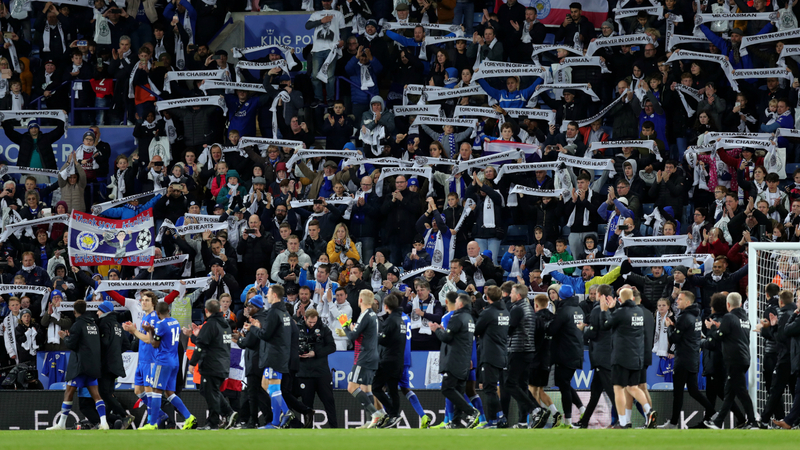 A proud Claude Puel praised his Leicester City players for their character during a "difficult" first appearance at King Power Stadium since Vichai Srivaddhanaprabha's death. Srivaddhanaprabha's son Aiyawatt was among the attendees at the scoreless draw against Burnley as emotional tributes were paid to the late Leicester owner and chairman, who was one of five people killed a helicopter crash outside the club's home ground two weeks ago. Members of the squad flew to Thailand last weekend to attend Srivaddhanaprabha's funeral and injured defender Harry Maguire joined in a memorial march before Saturday's match. The hosts managed to return their focus to the pitch and crafted the best of the chances on a day in which both managers acknowledged the result as being of secondary importance. "We were unlucky but I was proud of the players' performance because they gave their best in this situation," Puel told the BBC. "It was a tough week to prepare this game without training sessions and a long journey to Bangkok. "The players compensated with desire. I would like to congratulate the players because it was difficult. I hope we can continue this response to honour our chairman. "The most important thing is to always give our best. It was a professional attitude. A lot of people at the club have learned about themselves." "It was very tough for their players. They've been incredible," Dyche said. "It must have been very, very difficult and I've got a lot of professional respect for them. Overall, the result is kind of irrelevant. The game was bigger than the result. "It's reminded everyone that below the gloss, it's a club that's part of the community. The people of Leicester have been amazing."